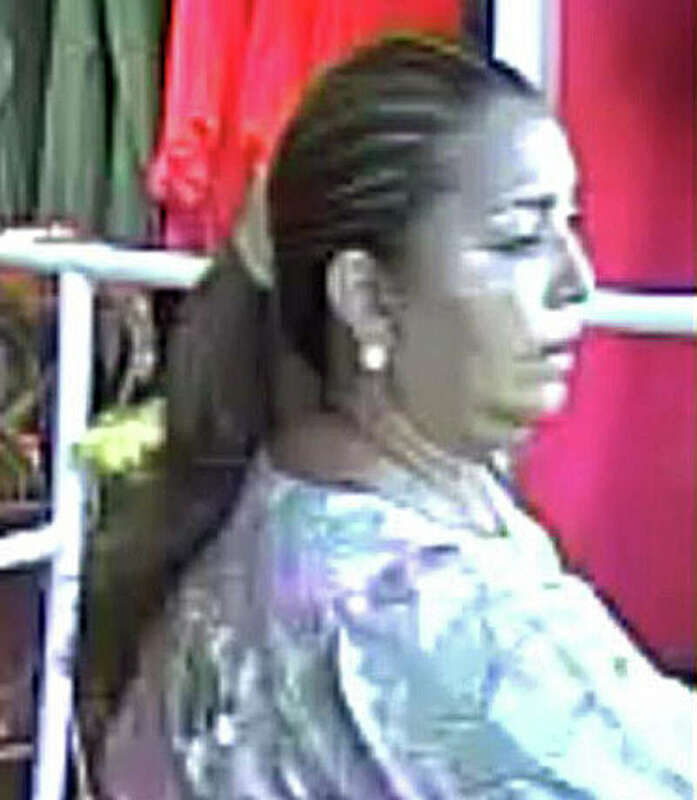 Police are looking for this woman in connection with a $3,114 theft from Apricot Lane in September. Police have released photos of two women suspected of stealing several thousands of dollars worth of clothing from the Apricot Lane shop on the Post Road. The two women entered the store separately on Sept. 21 with large bags, police said. While one of the women distracted the sales staff, the other suspect stole 18 pairs of jeans valued at $3,114. Staff told police the two suspects were responsible for a similar incident at the store six months earlier. Police ask any local retailers who experienced a similar incident or anyone who recognizes the two women to call the Detective Bureau at 203-254-4840 and reference case No. 12-30033.